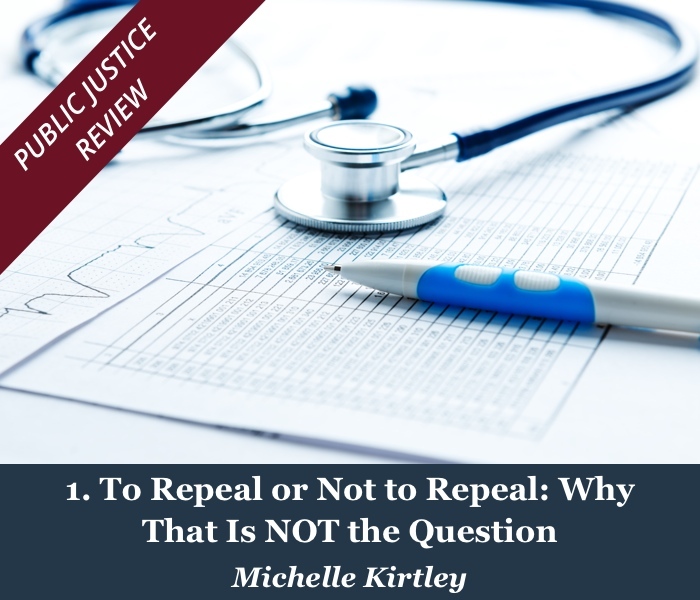 Michelle Kirtley is the Bioethics & Public Policy Associate at the Center for Bioethics & Human Dignity and a former health and science policy advisor on Capitol Hill. She is also a Trustee of the Center for Public Justice and a 2003 alumnae of the Center’s Civitas program in faith and public affairs. Although (and perhaps because) the policies themselves are complex, the debate over health care reform—both during the passage of the ACA and now—has been reduced to a few provocative and often false or misleading claims. One of the most debated questions is whether Americans have a “right” to health care and/or health coverage. The language of rights has itself become complicated and contentious in current political debate, not only in the area of health care reform. Christians are often uncomfortable with the language of rights because we are deeply aware that every blessing is an undeserved gift of God’s mercy. This instinctive distaste for anything that reeks of entitlement is aggravated by the fact that new rights are asserted year by year by various groups and institutions. Certainly, people and their communities cannot flourish if they lack access to health care. But governments everywhere (and indeed our own) may not be capable of guaranteeing health care for everyone. Paul Marshall argues that it is problematic to assert a right if the government may not always have the means or ability to fulfill or guarantee that right. [i] So perhaps in this context, it is more helpful to set aside the ambiguous and often divisive language of rights. In light of all of this emotion and confusion, what guiding principles should Christians hold our lawmakers accountable to as they enact changes to our health care policy? How can these principles inform our understanding of the current policies under debate? How can we affirm and uphold the roles and responsibilities of individuals and institutions in support of health and human flourishing? Affirming the image of God in every American must be the foundation of our thinking about health care policy. This applies to the healthy and the sick—including those who are sick because of poor personal choices. A careful reading of Scripture reveals that a biblical understanding of human dignity might more aptly be called “human flourishing,” or shalom in Hebrew. The biblical idea of shalom, often translated as “peace,” is not only the absence of conflict but the flourishing of creation that results when it is in right relationship with its Creator. In the Old Testament, the Israelites were called to carry shalom wherever they went—even into the exile in Babylon for the benefit of a pagan, enemy culture (Jeremiah 29). Importantly, shalom, as it is described in Scripture, never refers merely to the flourishing of a set of individuals but rather the flourishing of a people, a community, connected to each other and responsible to each other. In the context of a vibrant, interdependent community, people flourish when they are empowered to take responsibility for what God has entrusted to them, which includes their own health. Families, governments, and other institutions thrive when they wisely steward their resources. Applying this principle of shalom to the current health care debate can help us frame a more just approach. 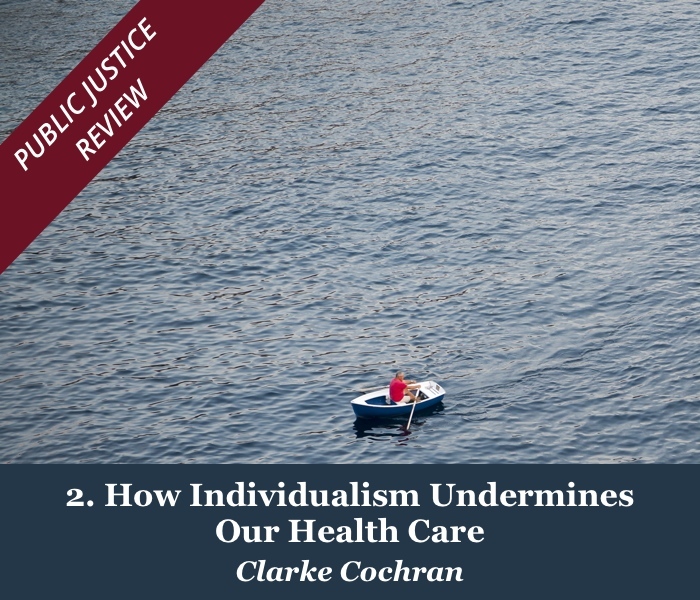 Although we are used to thinking of health care in very personal and individualistic terms, our individual health choices can have broader social impacts. If I fail to finish a course of antibiotics, for example, I undermine that drug’s efficacy for future patients. Health insurance is also necessarily a community endeavor. The relative health of the pool of patients determines the cost of insurance for each member of the pool. The communal nature of health care means that if I seek to have my basic health care needs met, I also have a responsibility to contribute to the health care common good. There are several ways to address this if we were designing a system from scratch. In reality, however, our current health care system has evolved piecemeal, influenced by myriad circumstances and policies, rife with intended and unintended consequences. Since 1986, federal law has required that everyone be treated in the emergency room regardless of ability to pay. But the law fails to systematically account for the costs of this care, resulting in higher costs in the system as a whole. In order to better honor both the personal stewardship and communal responsibilities of human flourishing, we should require or incentivize broad participation in the insurance market in order to more transparently and fairly distribute these costs among us. We should all pay our share, recognizing that we may ourselves be in need of care at any time. Under the ACA, this was accomplished through the individual mandate-- the requirement that all Americans either provide evidence of health insurance to the IRS or pay a financial penalty. In practice, the penalties for not carrying insurance turned out to be too low to bring enough young, healthy people into the market to offset the new coverage requirements put in place by the law. But the principle behind the individual mandate is sound. The Republican proposal passed by the House, the American Health Care Act (AHCA), takes a different approach, allowing insurers to charge up to 30 percent more for individuals who fail to maintain continuous health coverage and providing tax credits to almost everyone to encourage them to participate in the insurance market. Time will tell which approach is more effective. The goals of each are similar: to spread health costs as widely as possible across all demographics in an effort to lower health care premiums for everyone. However, it is not just to force (or even incentivize) people to pay beyond their means. As we contemplate reform, we must develop a consensus around the relative percentage of income we expect people to pay for health insurance. We have already done something similar for housing costs, largely agreeing that people should not be spending more than 25-30 percent of their income on housing. The formula that calculates subsidies for lower-income Americans under the ACA has set that number at 10 percent. Unfortunately, because of the high costs of health care, anyone—whether low-income or middle class—seeking to buy insurance outside of the employer-based market will be hard pressed to find a policy where the combination of premiums and out-of-pocket costs only amounts to 10 percent of their income. We must figure out how to distribute the burden of health care costs among us, and we must try to rein in the costs of the system as a whole. While government subsidies need not be the only means of providing health care to the poor, they will likely be an essential piece of the puzzle, particularly in a world where health care costs remain so high. The new mechanisms for offering tax credits to help pay for health insurance which were passed by Republicans will not be enough to keep most low-to-middle income people from paying more than 10 percent of their incomes on health care, meaning health care will remain (or will become) unaffordable for many low-income Americans. Democrats have often touted the decrease in the number of uninsured Americans as a hallmark of the ACA’s success and have criticized the AHCA for rolling back these efforts. Indeed, the Congressional Budget Office recently projected that the AHCA would result in 23 million more uninsured Americans over ten years. Republicans argue that many of these individuals will be the young, healthy people who were forced to buy insurance under the individual mandate, pointing out that the CBO’s 2009 analysis of the ACA vastly overestimated the number of people the ACA would help insure. Democrats counter that many low-income Americans, particularly those dependent on Medicaid, will also be affected. Yet, as Republicans have often asserted, health coverage does not always translate to access to health care. Some health insurance plans, particularly those available on the individual or small group market (the only plans available to those who do not have insurance through their employer) have out-of-pocket costs that make health care prohibitively expensive, even for those who can afford the premiums. Rural areas and some low-income urban areas face severe provider shortages, undercutting the net benefit of any government subsidized health insurance plan. Some Medicaid patients have trouble finding providers who will see them, and often face long waiting lists for appointments, even at federally subsidized community health centers. The pipeline of future primary care providers is insufficient to meet patient demand across the country. Expanding health coverage must be coupled with expanding access to health care, which will require creative policies and funding mechanisms, some of which were initiated under the ACA. Because of the procedural vehicle used to pass the AHCA in the House, most Republican proposals to expand access to health care beyond efforts to reduce costs system-wide were not included in the AHCA but have been discussed as pieces of a Part II or III to the Republican health care overhaul. Incentives should be built into our system-- not only by the government, but also by insurance companies, employers, and local communities-- to promote wellness. The ACA included several helpful policies promoting prevention and wellness, most of which are maintained in the Republican AHCA. A public policy emphasis on personal responsibility should be gracious and not punitive and pharisaical. For instance, it may be just to require smokers to pay more for health insurance coverage, but it is appropriately merciful to ensure that a smoker who has contracted lung cancer has access to quality treatment and, if necessary, quality, compassionate hospice and palliative care. We uphold the smoker’s own dignity and the good of society at large if we provide financial support or incentives for attempts to stop smoking. As individual patients, we should also be wise in stewarding health care dollars—even if they are not coming out of our own pocket. We do not need every available test for our own peace of mind. We should plan for long term care insurance, and it may make sense to pay for the gym membership in order to protect from diabetes or heart disease in the future. When we think about government health policy, we should think about the principle of intergenerational justice and stewardship of tax dollars across generations. Medicare and Medicaid must not only be solvent for today, but we should ensure that we are not accruing unsustainable debt that will have to borne by our children and grandchildren. According to current non-partisan estimates, the Medicare Hospital Insurance trust fund, into which Medicare taxes and Medicare Part A premiums are deposited, will be depleted and will no longer be able to independently cover Medicare expenses by 2028. Some state budgets are being crippled by Medicaid spending. Difficult choices and broad reform in our health care entitlement system will be necessary to accomplish long term sustainability. Sadly, in our current debate, long term solvency is often pitted against the urgency of current need, and political parties tend to favor one over the other. As a case in point, the recent CBO analysis of the AHCA projects a $119 billion decrease in the national deficit in part at the expense of premium subsidies for low-income Americans. Creative, unconventional problem solving and difficult priority-setting by policymakers committed to human flourishing will be required to develop truly just long term reforms. Unfortunately, our system is not well structured to promote the kind of stewardship we just talked about. For example, under current law, the premiums paid by an employer for an employee’s health insurance are exempt from federal tax. In many cases, the employee’s share of the premium is tax free as well. This results in the single biggest “tax expenditure” in the tax code—money that the federal government “foregoes” in revenue--a whopping $260 billion in 2017 alone!!! This single provision has created enormous distortions in our health care markets and many unintended inequities. It has created a false perception among American patients about the real costs of health care, it fails to curb overuse of the system, and it locks workers into bad jobs because they are afraid of losing their health care. Neither the Affordable Care Act or the Republican alternatives make any meaningful change to this costly exemption. As the Center for Public Justice’s Guideline on Human Life indicates, government’s most basic responsibility is to protect the life of its citizens, including the most vulnerable. Government should not, in the context of health care reform, incentivize abortion or euthanasia. Longstanding funding prohibitions on abortion in federally funded health care programs are appropriate. The framework of human flourishing helps us expand this concern for the unborn to include a concern for women and families in crisis pregnancy circumstances along with thoughtful considerations of the social determinants of health. Valuing the life of every child also translates into advocating widespread access to maternal and newborn health care. As new genetic technologies emerge and personalized medicine becomes a reality, Christians will need to think carefully about how “health” should be defined. We must resist the cultural pressure to think of children as commodities to be designed to our own specifications and refuse to participate in the quixotic quest for immortality—the fight against aging that leads us to undervalue and even discriminate against the elderly. Our faith leads us to encounter suffering, including sickness and disease, with redemptive hope rather than desperate fear. Our pro-life witness should accurately reflect our Savior’s concern for all life—even the most vulnerable, the most “useless” and most burdensome to our society—from conception to death. Our pro-life lens should also lead us to give particular attention to mental health. The ACA defined—for the first time at the federal level—what a “minimum” package of health benefits an insurance plan must contain. In addition to preventive care and maternity coverage, the ACA also required that ALL health plans offer mental health and substance abuse benefits. The current Republican proposal keeps the mandated set of minimum benefits for federal health programs such as Medicare and Medicaid, but effectively returns control over mandated benefits to the states for insurance offered on the individual or small group markets. Whether in the federal legislation or at the state level, we have the opportunity to clarify our witness by advocating for mental health benefits for the vulnerable. Mental health has long been uncomfortable territory for many Christians. But because the Gospel frees us from shame, we need to lead in combatting the stigma associated with mental health illnesses, offering hope to affected individuals and families. Health care policy is exceptionally complex and multidimensional. In addition to the issues discussed here, policy makers face questions about how to manage the increased consolidation and corporatization of the hospital industry, the dearth of new antibiotics and increasing antibiotic resistance, the pricing of drugs and biologics, and how to develop just public health policies, among many other challenges. Our national debate about health care policy has devolved into an argument over the question of whether the government or the marketplace delivers better care to more individuals for less money. Instead, our debate should focus on whether our regulatory system is structured for the well-being of the whole of society, enabling all the various individuals and institutions who have a role to play in health care to fulfill their God-given responsibilities. 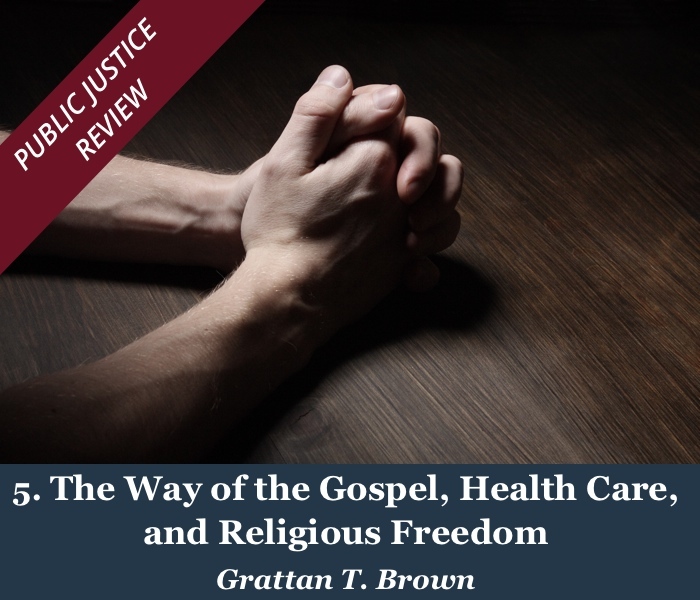 The upcoming articles in this series will look at how applying the principles of human flourishing together with an emphasis on institutional pluralism can inform a compassionate and just health care policy that includes multiple sectors and institutions of our society. 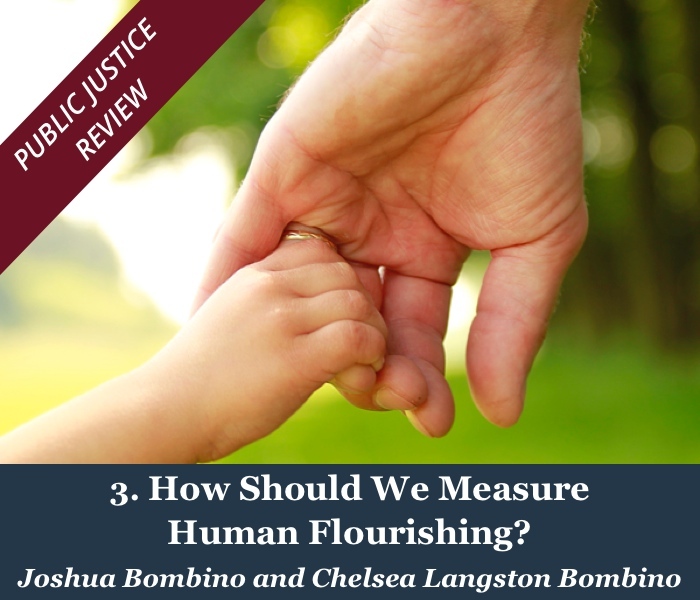 This focus on human flourishing can help rise above the impasse of our current, polarized debate and ensure a sustainable system for our children and grandchildren. [i] Marshall, Paul. God and the Constitution: Christianity and American Politics. Rowman & Littlefield (2002), p. 81. To respond to the author of this article please email PJR@cpjustice.org. 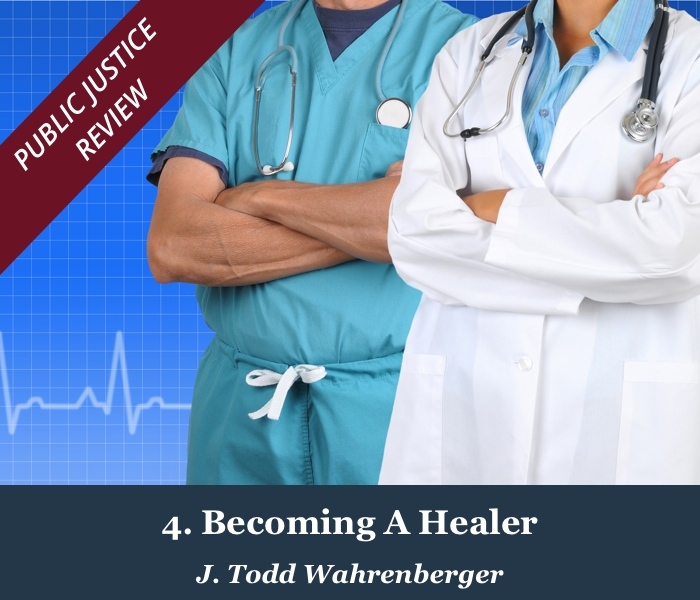 Public Justice Review (PJR) explores in depth specific questions of public justice, equipping citizens to pursue God’s good purpose for our political community. Articles do not necessarily represent an official position of the Center for Public Justice but are intended to help advance discussion. Articles, with attribution, may be republished according to our publishing guidelines available online or at the email above. You can now download this article as a PDF for printing and/or saving. Click the icon above or click here to do so.